Make your product listing ads visible when customers search for it. Want to show your products on Google? Google Shopping Ads, also known as Product Listing Ads are Google’s paid shopping advertisement program, which includes the Google Shopping data feed, the Product Listing Ads and the Google Merchant Center dashboard. Product Listing Ads or Google Shopping Ads show on Google when someone makes a search for your products on google.com and google.com/shopping. Your customer will see a picture of your item, its price, and your store name. Customers who click on your ad will be directed to your website where they can buy your item. Google Shopping is consistently rated as the best choice for online merchants. It’s proven to generate the most traffic and profit for online businesses. Quite often in online advertising, as in the real world, you get what you pay for and more expensive more often than not means better. The added benefit of immediate gratification the web surfer gets by immediately being shown photos and prices of the product(s) they may be looking for should be taken into consideration. It entices more clicks, and consecutively more sales. Google Shopping Ads require two sides. The actual product feed, and the PPC campaign to display those products on Google. We help our clients optimize the product feed by ensuring all the attributes, descriptions and titles are setup correctly. The most important part of setting up a proper Google Shopping Campaign is the feed. The reason is that Google looks at the product descriptions and titles to decide which of your products show during a search. So most of the optimizations actually come inside the product feed. If you don’t have a feed yet, don’t worry, we’ll help you along the way. Next, we look at the campaign and ensure that it’s structured in a way to give your products the best shot. This includes using the “promotion” feature to write a promo for all of your ads. 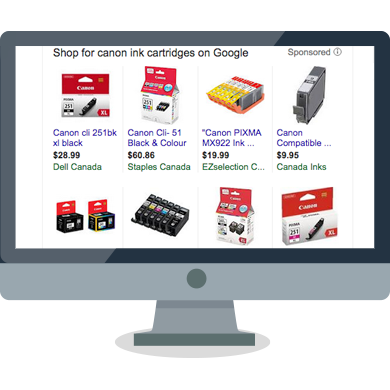 We include a “promotion” with all Google Shopping ads units. These are added in the Google Adwords side, not the feed. We’ll use seasonal offers and discounts to make your ads shine when the ads are displayed by Google. 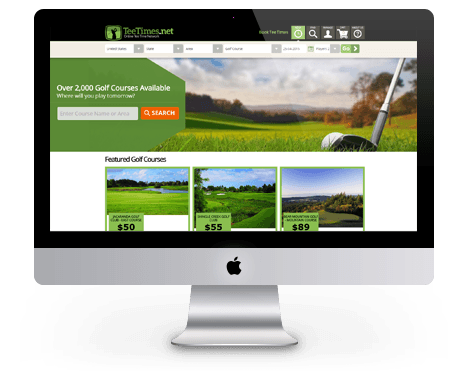 At TeeTimes.net, their mission is to make it easier for golfers to book online golf teetimes. Titan PPC paired up with TeeTimes.net in 2011 to optimize their existing PPC accounts. Within a just a couple weeks, the quality scores went way up and the CPC went down. The optimizations brought more bookings, more revenue and more profit for TeeTimes.net. "TitanPPC.com increased our online bookings by 125%! Our summer season is booked solid every year now." As a Google AdWords Certified Partner, we can create effective geo-targeted pay per click search and display campaigns for your business. We’ll analyze your pay per click campaigns and make sure they’re working to provide you with the returns you want. We’ll help you reach customers that showed an interest in your business and keep them engaged with our pay per click remarketing. We run pay per click campaigns that help customers who are you looking for what you offer find your business, generating the leads you want. 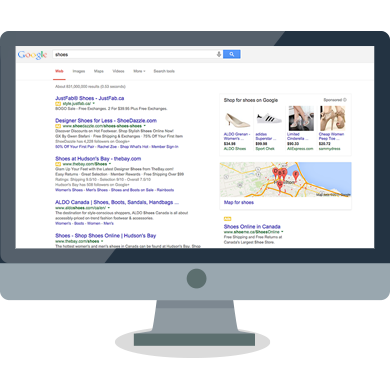 Google Shopping Ads allow us to get your products listed directly in Google’s search results and drive more leads and sales for your business. We’ll write and design landing pages that are created specifically for your pay per click campaign to help you increase conversions from leads. We’ll make sure your website is fully optimized in conjunction with your pay per click campaigns to help increase conversions. We offer pay per click campaigns for mobile devices, as well as banner ads for different sites around the web. We’ll create and run effective pay per click campaigns using Facebook, Twitter, LinkedIn or Pinterest, depending on your business’s audience and needs. We provide monthly audits to make sure things are running smoothly with your campaign, delivering custom reports that detail our findings. Copyright ©2017 Titan Innovations Inc.